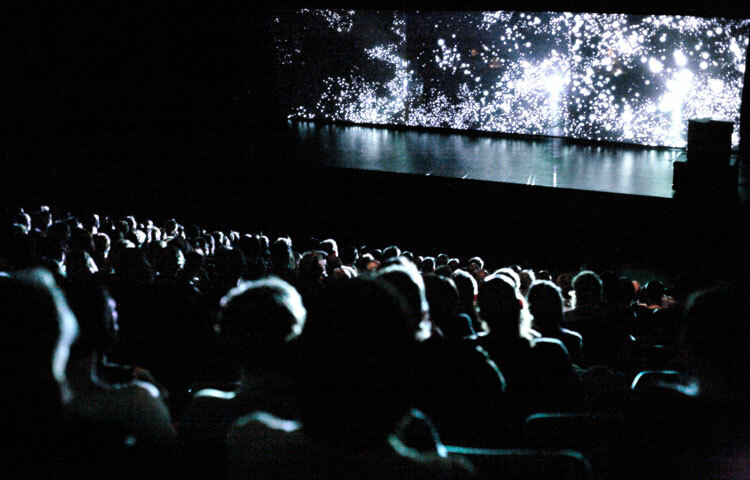 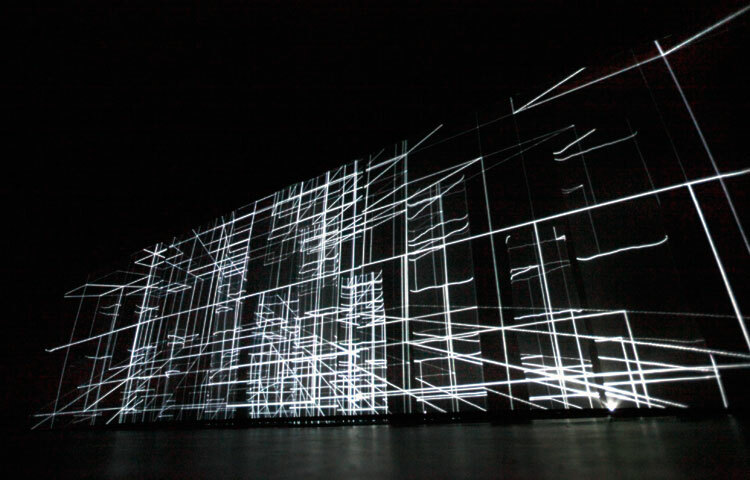 projections on large invisible screens. 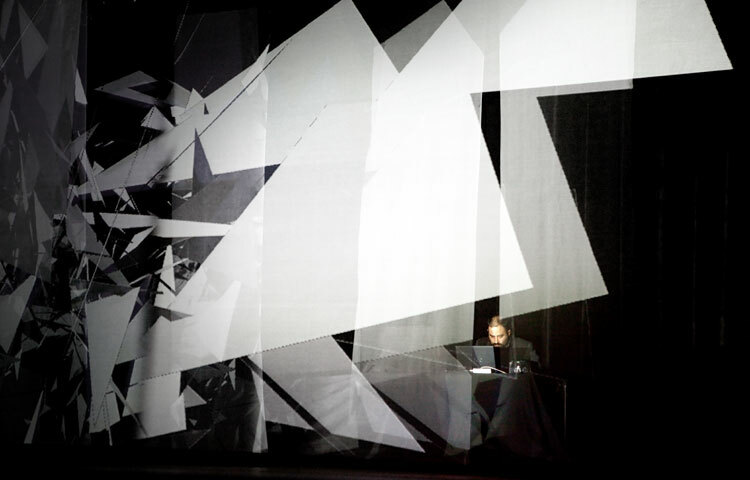 responding to ambient and droning electronica. 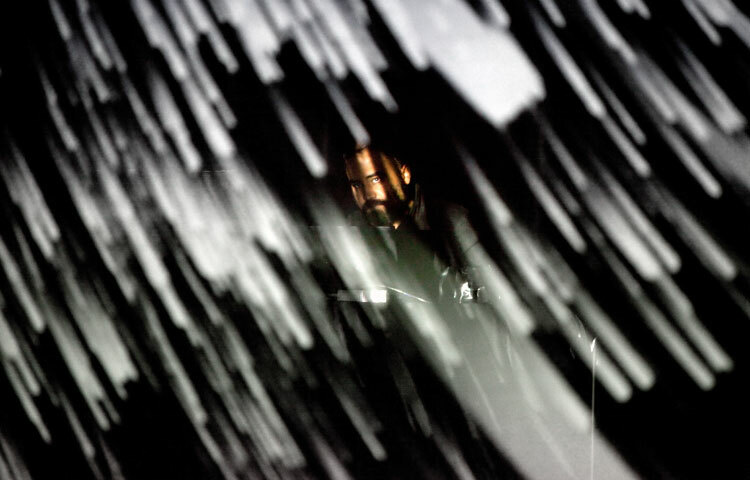 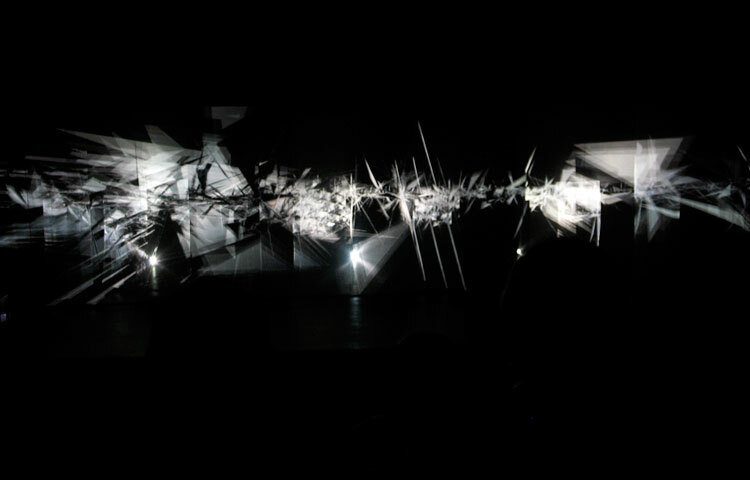 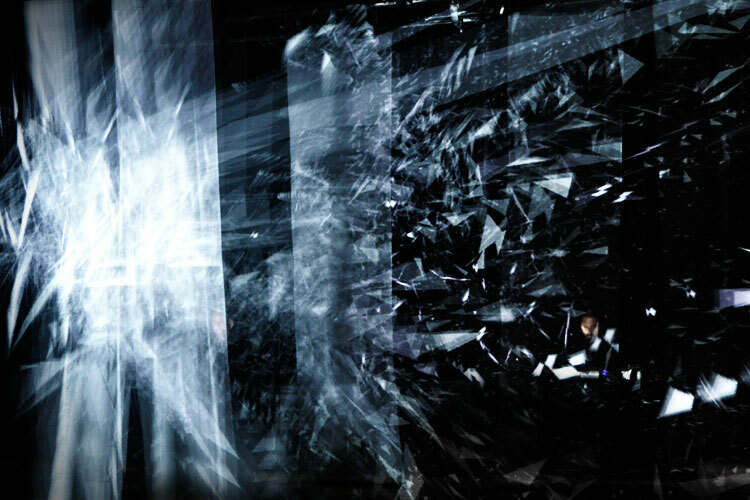 Simon Geilfus who created this live, generative visuals, performance.